General Landscape Uses: Groundcover in open, coastal uplands. 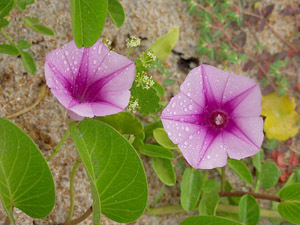 Ecological Restoration Notes: One of the most important sand-binding vines in coastal uplands throughout South Florida. 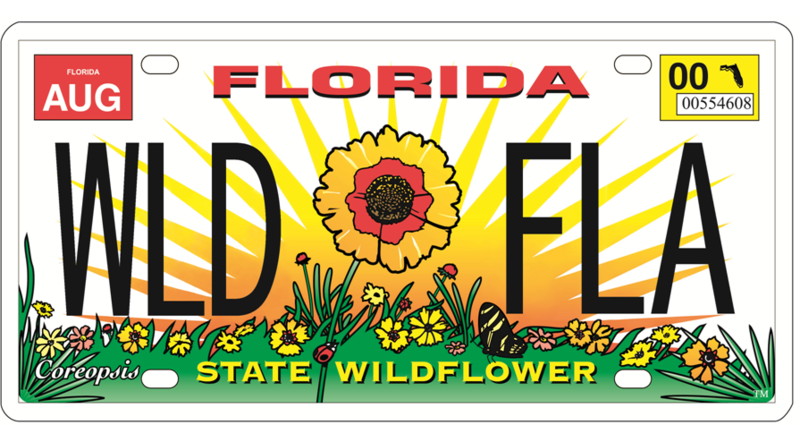 Availability: Widely cultivated. 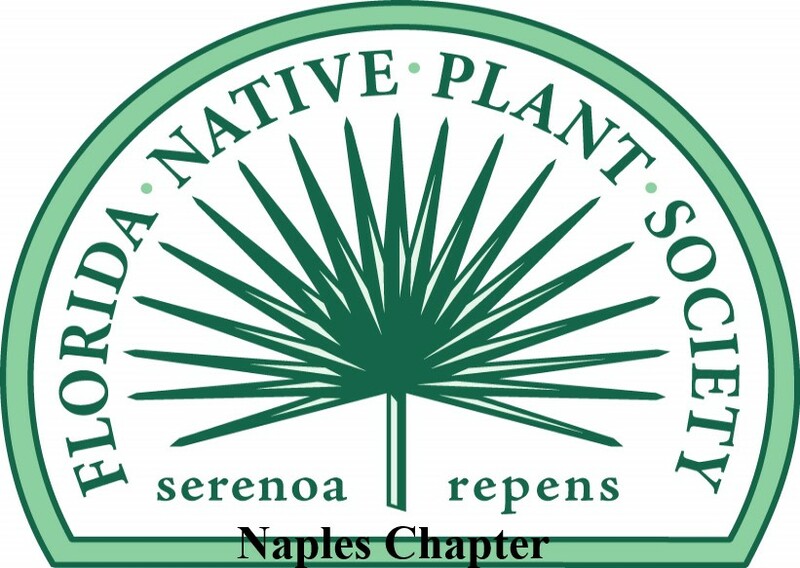 Available at Indian Trails Native Nursery in Lake Worth (561-641-9488). Description: Prostrate herbaceous vine with very long stems. 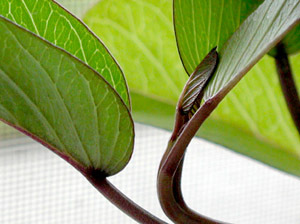 Dimensions: Typically 3-9 inches in height; stems to 100 feet in length. Range: Southeastern United States west to Texas and south to the Monroe County Keys; West Indies, Mexico, Central America and South America. 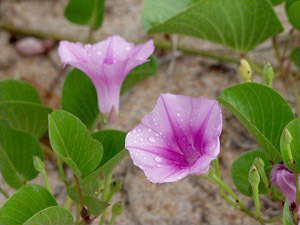 Flower Color: Pink to reddish-purple. Rose-purple stripes radiate out from the throat. 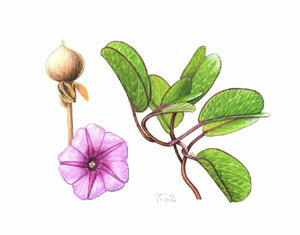 Flower Characteristics: Showy, 2-3" wide. Fruit: Inconspicuous capsule. All year. 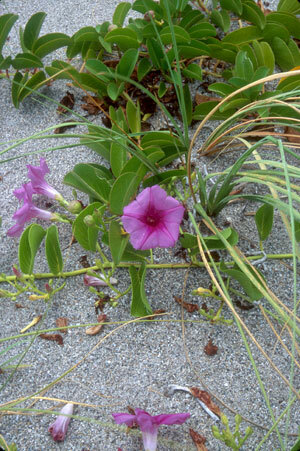 Wildlife and Ecology: One of the most important beach pioneer species. Nectar plant for butterflies. 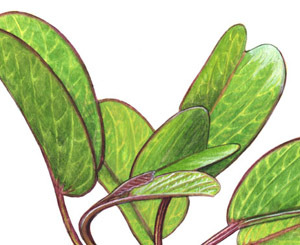 Comments: The name "pes-caprae" means "goat's foot" referring to the shape of the leaf.